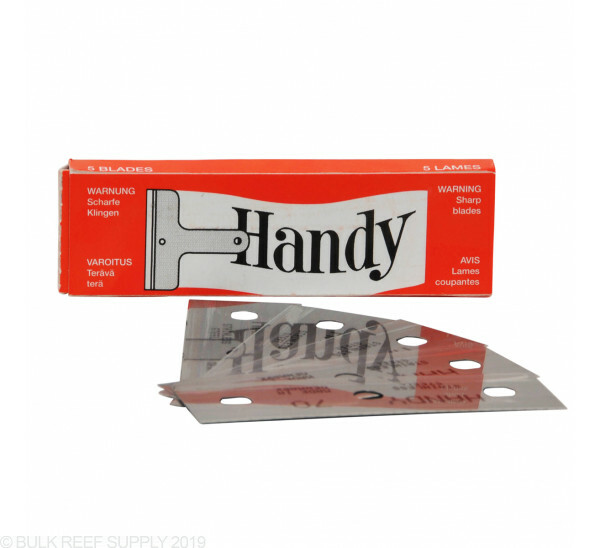 Replacement Blades for Easy Blade Algae Scraper. Not compatible with PLUS Algae Scrapers. One of the best time savers with my tank was when I bought the easy blade attachment for the glass cleaner. These blades work like a champ. One pass on the glass and the algae is gone, including coraline algae that use to take alot of effort to scrub off. 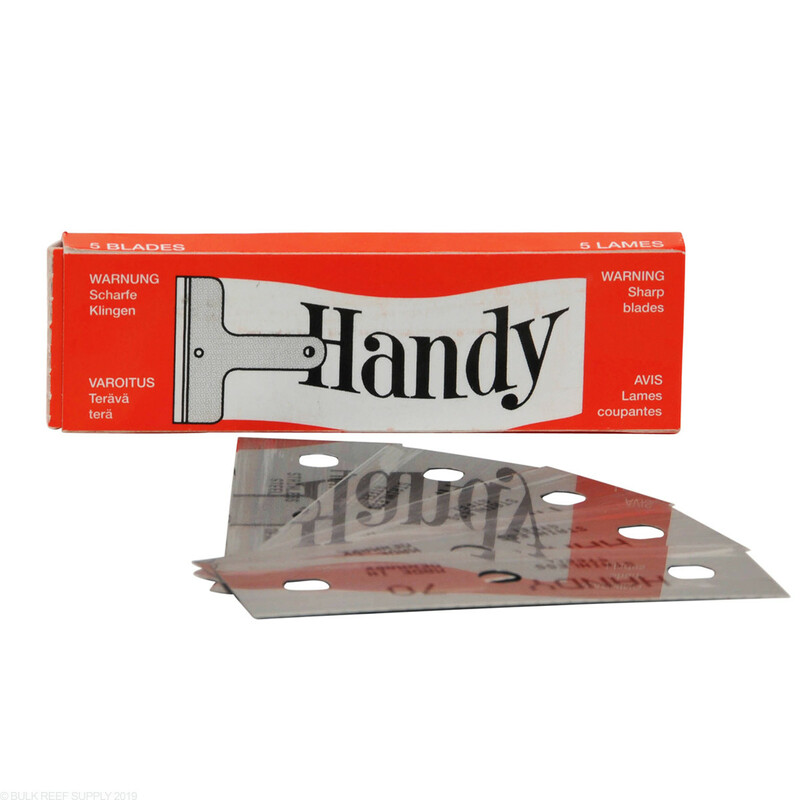 Blades are 2 sided - and one blade lasts me almost a year! This is a great idea since i picked up my scraper i have saved hours cleaning the windows. The description says 10 pack.. however the box depicted says 5 blades. It is an older picture and it is a 10 pack. Thanks for pointing out the issue with the picture and we will get that fixed shortly. What are the dimensions of these? I have a scraper that had a 3 hole blade that measures 1 3/4" by 13/16". These appear to be correct but I don't see a size. Great question! These blades measure about 2.7 inches by .81 inches. Please let us know if you have any other questions!